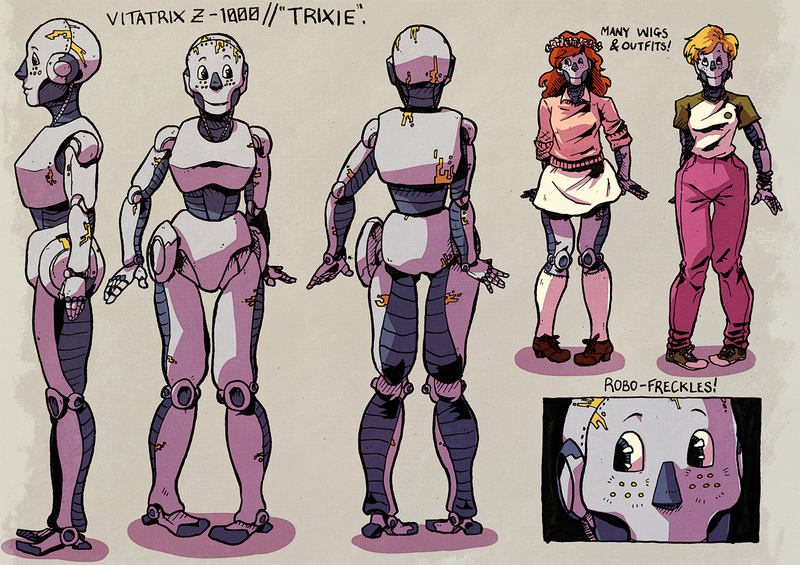 'Trixie' (short for 'Vitatrix z-3000'). Her 'brain' is an A.I. chip, currently inside an android shell. Don't you dare tell her she is 'just' a robot.